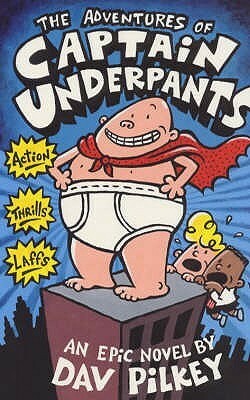 Ohioan Chris Crutcher has three books on the American Library Association’s list of Top 100 Banned/Challenged Books: 2000-2009: #41 Whale Talk, #44 Athletic Shorts, and #85 Staying Fat for Sarah Byrnes. Crutcher was born in Dayton, Ohio, but grew up in a small town in Idaho. After graduating from college, he taught primary and secondary school and spent nearly a decade as the director of an alternative school for at-risk students. He spent the next 30 years working as a child protection advocate and as a child and family therapist. Crutcher’s experience working with at-risk children shows in his books, which tackle difficult subjects with a mixture of gritty realism and sharp humor. The second Ohio author to appear on the American Library Association’s list of Top 100 Banned/Challenged Books: 2000-2009 is Mildred Taylor. 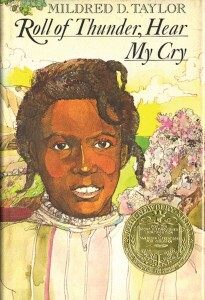 Her award-winning book Roll of Thunder, Hear My Cry appears at #66. Taylor was born in Jackson, Mississippi, but spent her childhood in Toledo and graduated from college there. After spending two years in the Peace Corps and earning a master’s degree, she began writing. Taylor’s books are based on family stories told during childhood gatherings and therefore strongly reflect her own family history. Roll of Thunder, Hear My Cry was only her second novel. 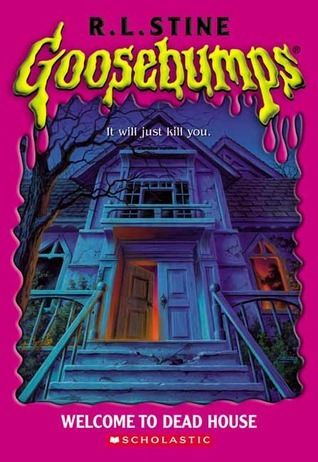 In addition to winning the 1977 Newbery Medal, it was a National Book Award nominee, an ALA Notable Book, and a Kirkus Choice and was listed as a New York Times Book Review Best Children’s Book 1970-1980. James Garfield was born in a log cabin in Cuyahoga County, Ohio. After working various jobs to support himself, he graduated from college and worked first as an educator and then as a lawyer. He served in the Ohio Senate from 1859-1861, then served as an officer in the Union army. He was first elected to Congress in 1862, where he served until winning the 1880 presidential election. However, Garfield’s presidency lasted just 200 days. On July 2, 1881 he was shot twice from behind by Charles J. Guiteau, who had been rejected for a foreign service post. 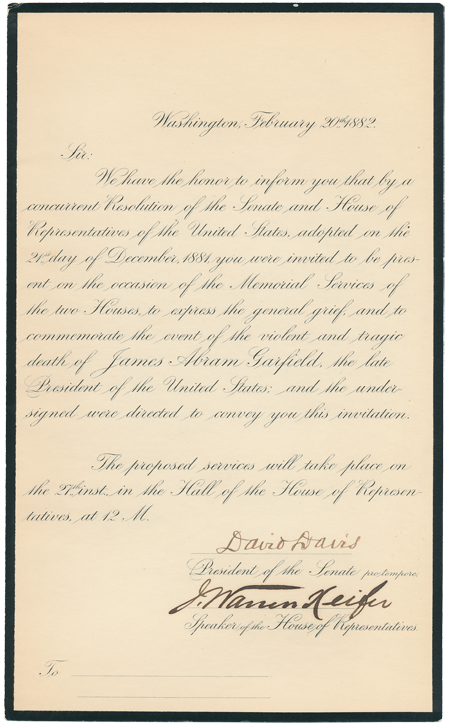 President Garfield died on September 19, 1881 as a result of his wounds. 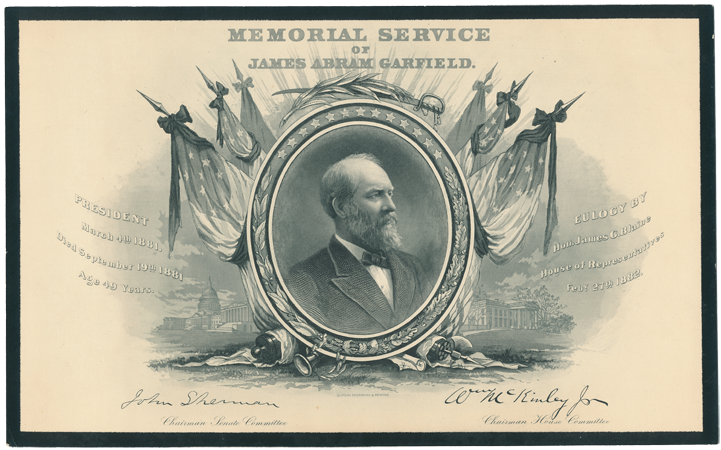 This invitation to the congressional memorial service for Garfield is part of the Ohioana Library’s Ohio Presidents collection. The recipient is not identified. Amplify your gift by donating to the Ohioana Library during this special online giving event! 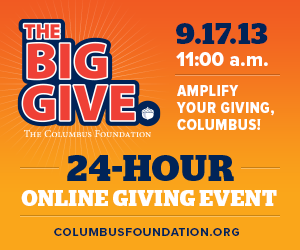 For a 24-hour period beginning at 11:00 a.m. Tuesday, September 17, all donations of $20 or more made to the Ohioana Library via The Big Give will be augmented by part of a $1 million bonus pool provided by the Columbus Foundation, its family of donors, and community partners. 100% of your donation goes to the Ohioana Library! Click here for more information. And, as a special “thank you” for donating, you can receive free goodies from Jeni’s Splendid Ice Creams, Homage, and Piada! Click here to find out how. Your support is greatly appreciated and helps us provide activities that connect Ohio writers and readers throughout the state, including the annual Ohioana Book Festival, “On the Road with Ohioana” tours, and much more. THANK YOU in advance! 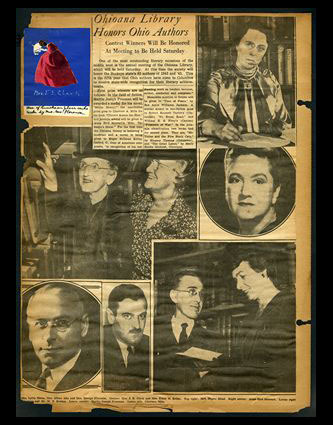 This page documents the 1943 Annual Meeting and Book Awards. The place card in the upper left corner was handmade. 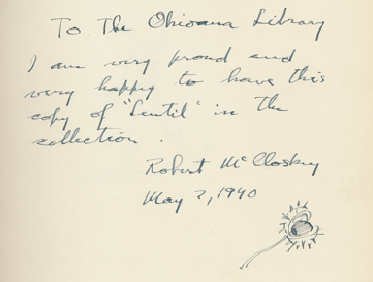 The Ohioana Library is pleased to announce the completion of its first major collection digitization project! 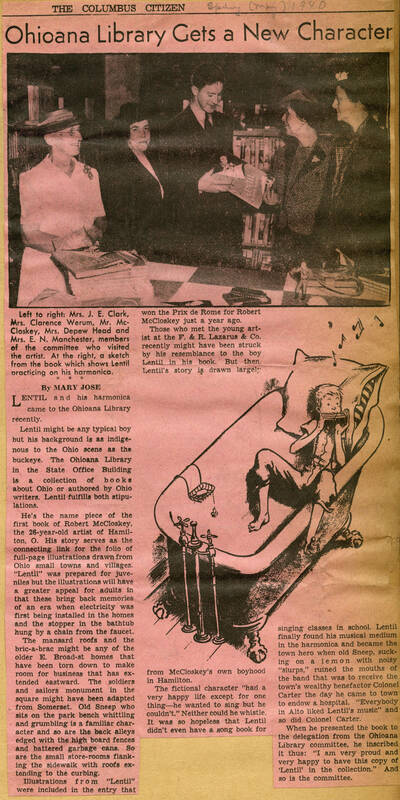 Seven publicity scrapbooks that document the library’s activities from its founding in 1929 through the 1970s have been scanned and are now available for viewing on the Ohio Memory website as the Ohioana Scrapbooks collection. This project marks the first step in making some of our unique collection items more easily accessible to the public and in further sharing Ohioana’s mission and history. The scrapbooks contain newspaper clippings, photographs, ephemera, correspondence, and administrative documents that describe Ohioana’s founding and accomplishments. The majority of these scrapbooks focus on the 1940s and early 1950s; topics include author teas, day trips, county literary news, and extensive coverage of the Ohioana annual meetings and award banquets. 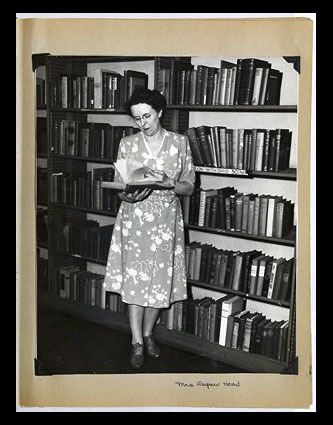 Florence Roberts Head helped Martha Kinney Cooper establish the Ohioana Library and served as its director for more than two decades. Digitization of the scrapbooks was a joint project between Ohioana and the Ohio Historical Society, with support from the State Library of Ohio and a grant from the Library Services and Technology Act program. We’ll be digitizing additional scrapbooks and other collection items as resources allow!